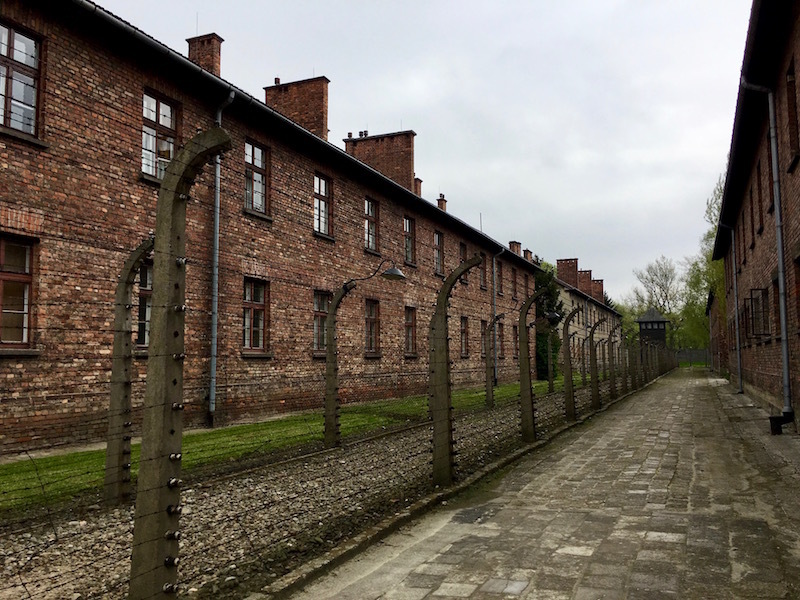 I had the opportunity to visit Auschwitz-Birkenau during my press trip to Poland with Poland Travel. Forever let this place be a cry of despair and a warning to humanity. I first learned about the Holocaust by reading The Diary of Anne Frank during elementary school. At that time I had stacks of diaries that I poured my secrets into and guarded with my life. 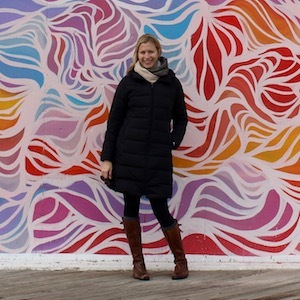 So I could relate to the comfort that Anne found through the process of writing her thoughts down, as well as her teenage confusion, optimism and desires. I read everything I could about her, her family and what ultimately caused their deaths. I even dressed like her to give an oral book report for reading class. When I had the opportunity more than 25 years later to visit the place where she briefly lived before she met her untimely end, I was profoundly grateful. 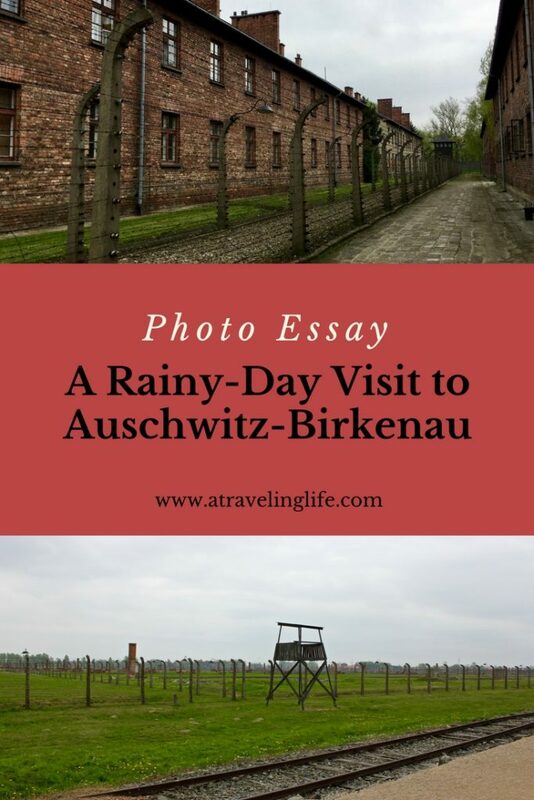 The damp, gray and rainy morning I spent at Auschwitz-Birkenau Memorial and Museum this spring affected me like few other experiences have in my life. 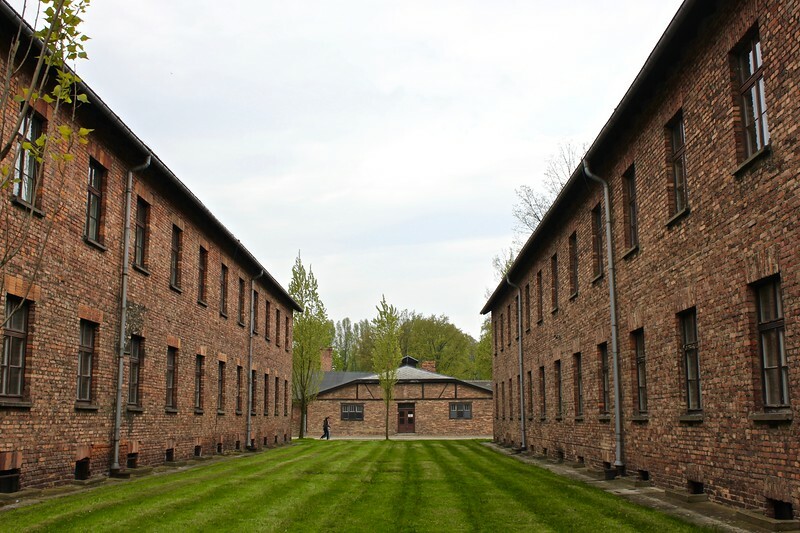 The first part of the tour was spent at Auschwitz, the original camp in the complex. It is mostly comprised of perfectly spaced two-story brick buildings that, except for the barbed wire that surrounds them, don’t look much different than those you find in up-and-coming warehouse districts in many cities. For about 90 minutes we were funneled single file through several of the buildings at a pretty quick pace, stopping briefly to view the most important displays. 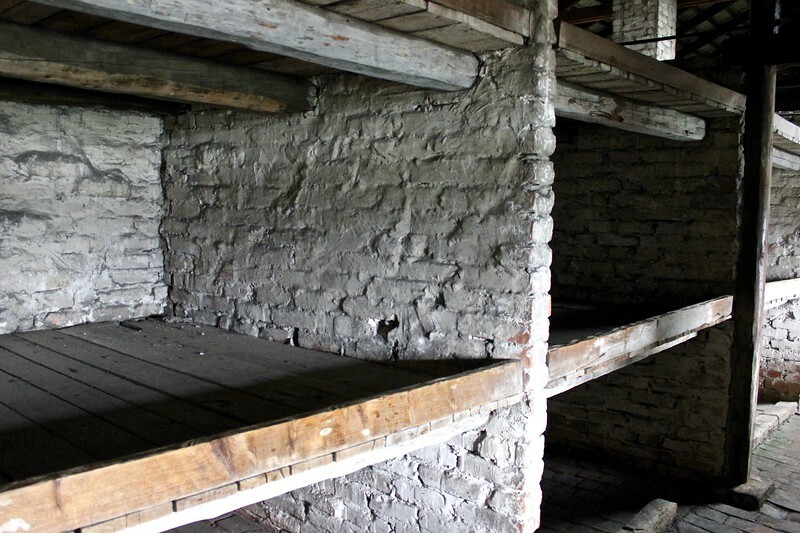 The only sound was our guide’s low, monotone voice in our headphones regaling the horrors of what once took place where we were standing – where Jewish men, women and children, alongside other prisoners like Poles and Gypsies, were stripped of their clothing and possessions, forced to endure painful medical experiences, herded into “showers” and cremated. 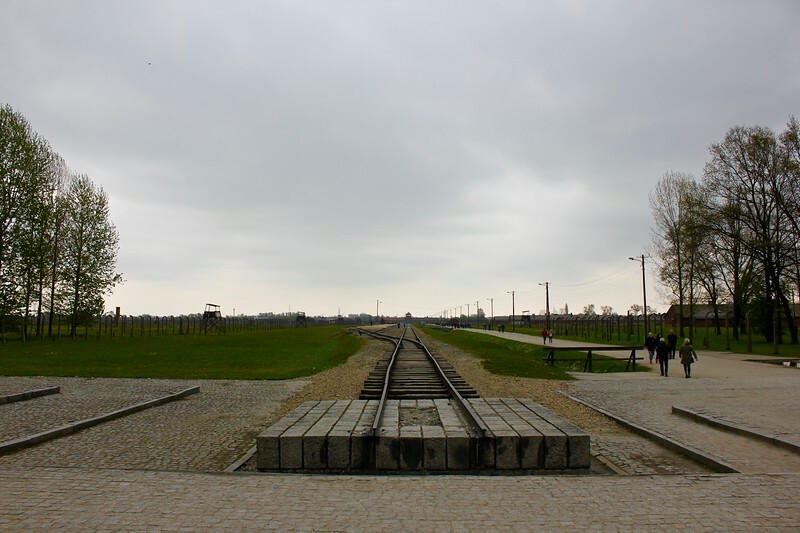 Birkenau, where we went next, is set further out of town on a vast open field. 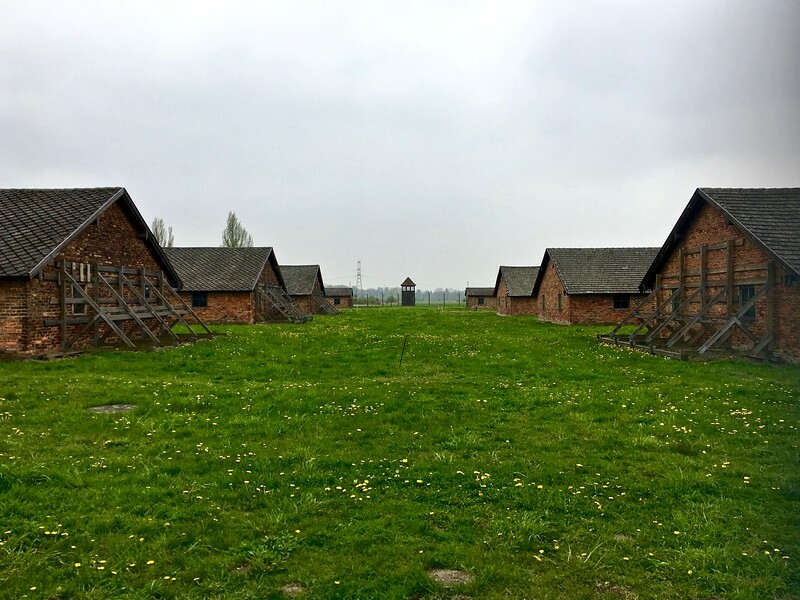 I felt like the walls were closing in on me at Auschwitz, but at Birkenau, I could take deep breaths of the fresh air, see the dark clouds above me and feel the cool wind on my face. It’s also where the scale of the “Final Solution” hit me – standing in the middle of the camp, you can’t see the entire perimeter. We didn’t have headphones for that part of the tour, and we were able to walk at a more leisurely pace. We followed our guide down the path that runs from the entrance alongside railroad tracks, as he pointed out the small brick buildings to our left and the chimneys that dotted the landscape to the right, stretching all the way out to the horizon. Our first stop was the cattle car that sits on the tracks, a replica of the ones that once stopped at that very spot to unload hundreds of hungry, thirsty and exhausted women and children at what was very likely their final home. 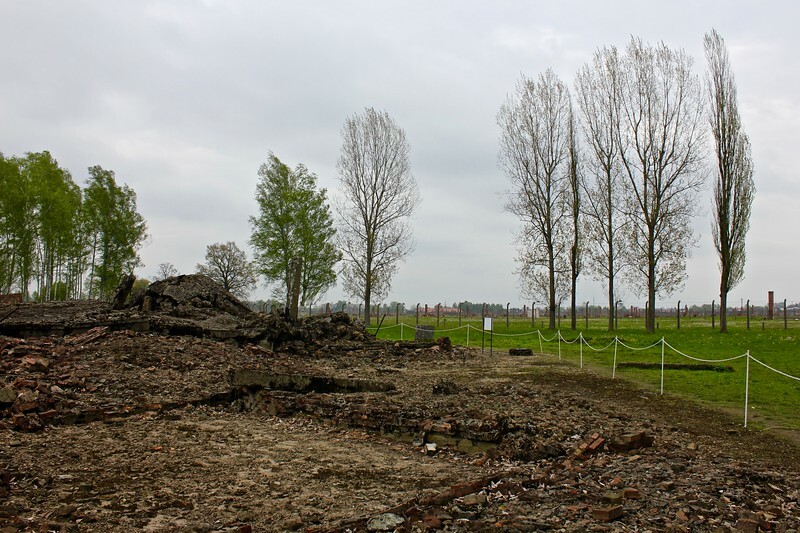 At the end of the path is piles of rubble – remnants of the gas chamber and crematorium – as well as the complex’s memorial. As our tour was drawing to a close, there was a deluge of rain, so I ran back to the cover of the entrance gate. Standing there I took a final look around in attempt to let it all sink in. A few months later, I’m still processing all that I saw and felt that day while walking on such sacred ground, so I haven’t shared much about my visit. Words just don’t seem to do it justice. For now, I’ll let the photos speak for themselves. 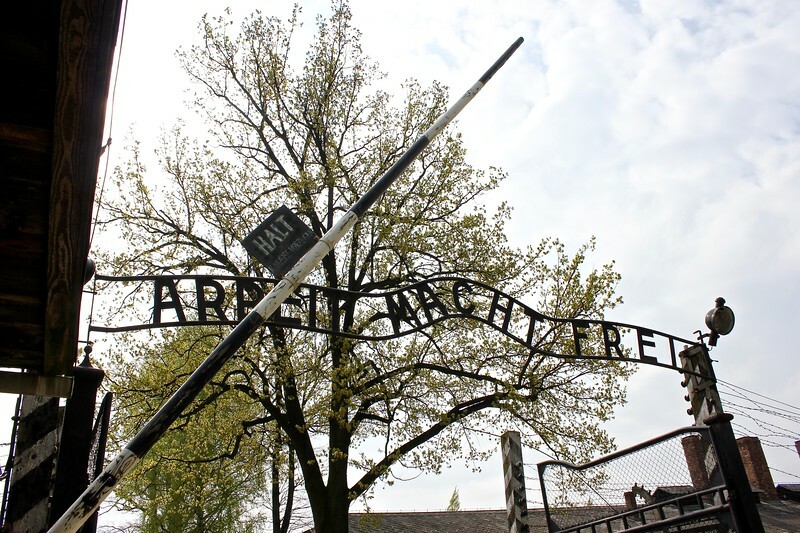 The gate to Auschwitz I declares, “Work sets you free.” The Auschwitz complex was actually divided up into three individual camps – Auschwitz I, a concentration camp; Auschwitz II-Birkenau, an extermination camp; and Auschwitz III-Monowitz, a work camp. 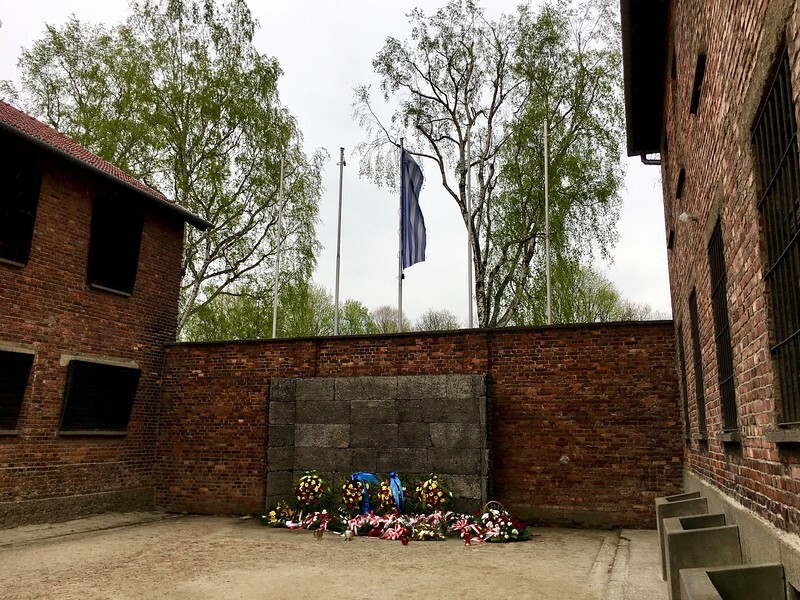 At its height of operation, the Auschwitz complex covered 15 square miles (40 square kilometers) and, in addition to the three main camps, there were 40 branch camps spread throughout the surrounding area. 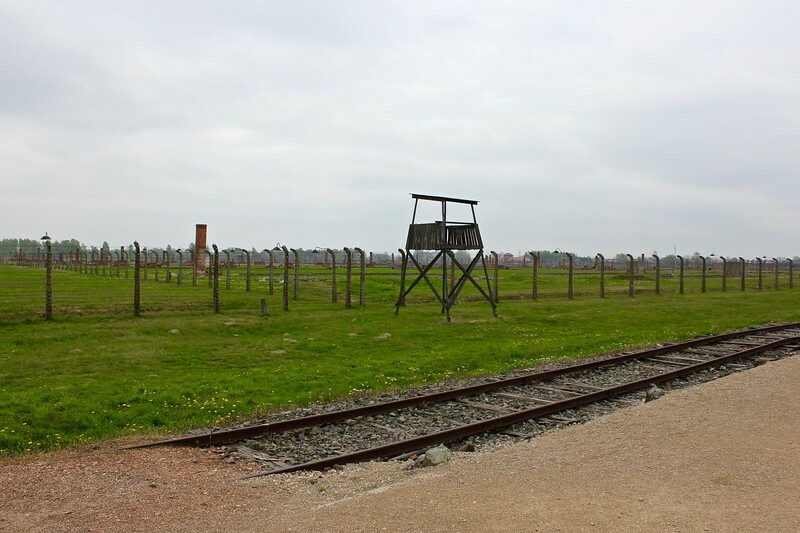 Approximately 1.3 million people were deported to the Auschwitz complex between 1940 and 1945. Only a small fraction of their names and photos are on display. 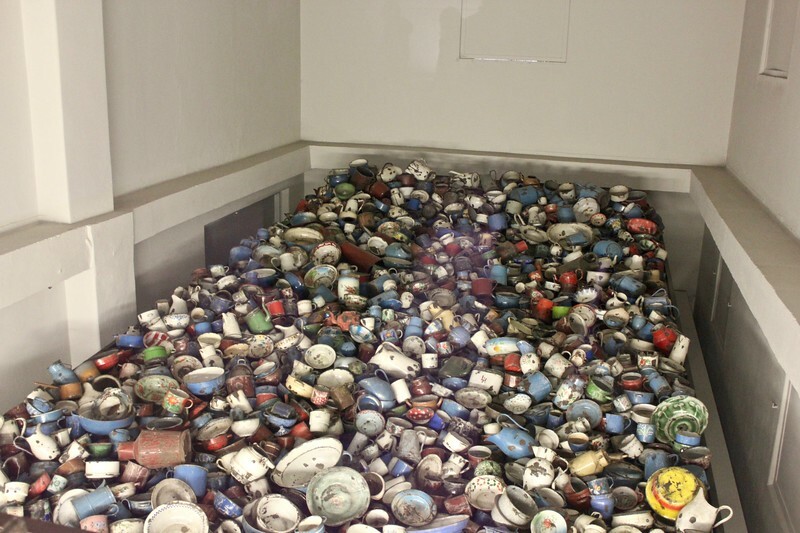 This kitchenware was brought by prisoners deported to Auschwitz and confiscated along with other personal belongings upon arrival. I also saw piles of suitcases, shoes and glasses. 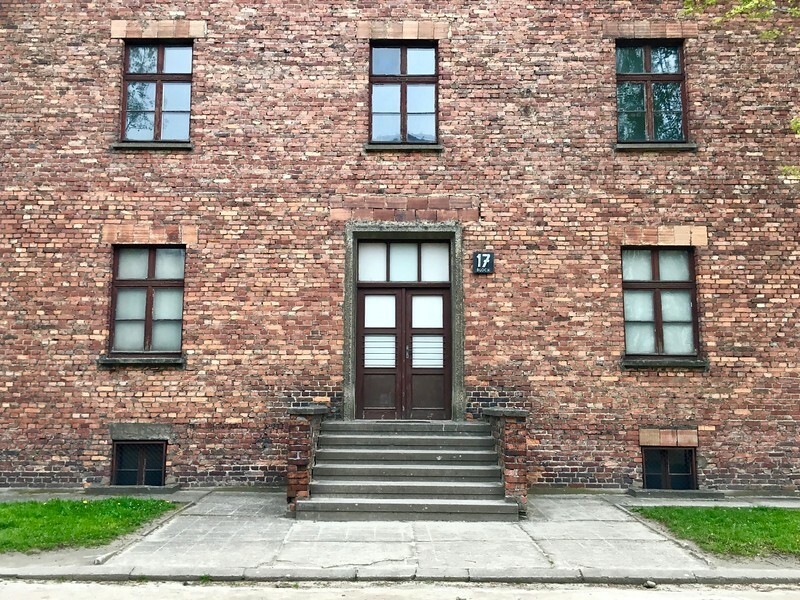 Elie Wiesel and his father stayed in the Block 17 barracks for three weeks before being sent to work in the factories at Auschwitz III. 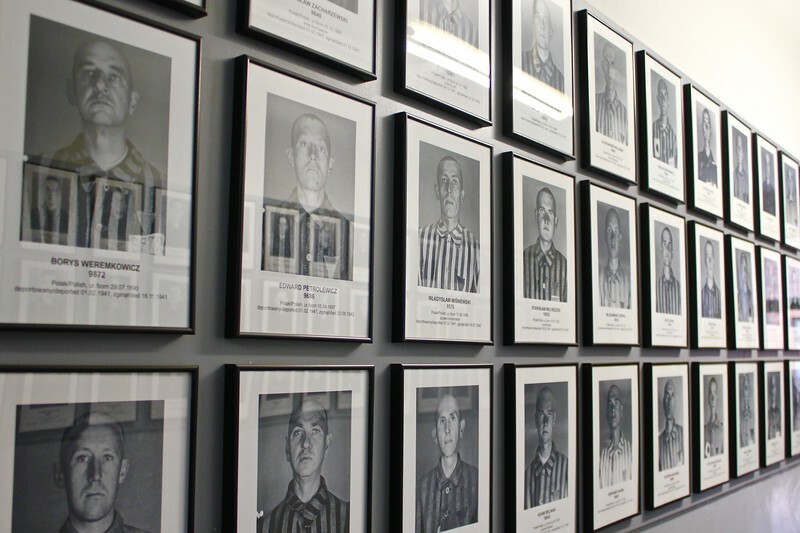 Today the building houses exhibits on prisoners sent to Auschwitz from Yugoslavia and Austria. This beam was used for mass hangings. 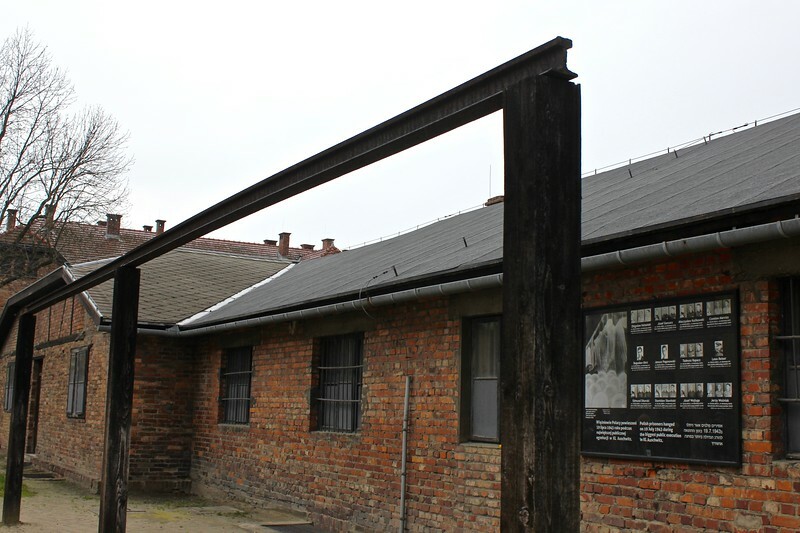 This is the outside of the gas chamber; the chimney has been reconstructed. I walked through the interior, which is comprised of two rooms, a “shower” room and crematorium, but I did not take any photos out of respect. The guard tower overlooks where the women and children’s barracks once stood. They were made of wood, so only the chimneys remain. Note the railroad track for the cattle cars. These are the boys barracks, located on the other side of the railroad tracks. 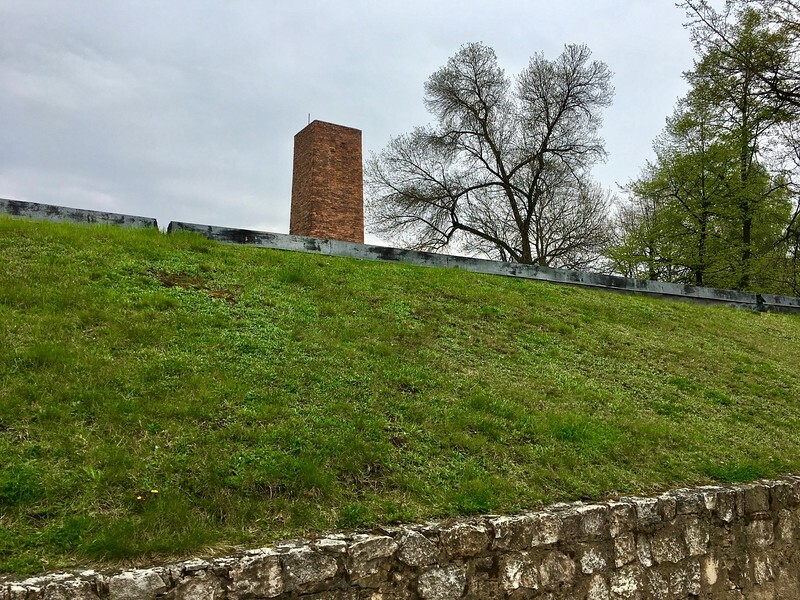 These are the remains of the gas chamber and crematorium. They were destroyed by the Nazis at the end of the war to cover evidence of their crimes. 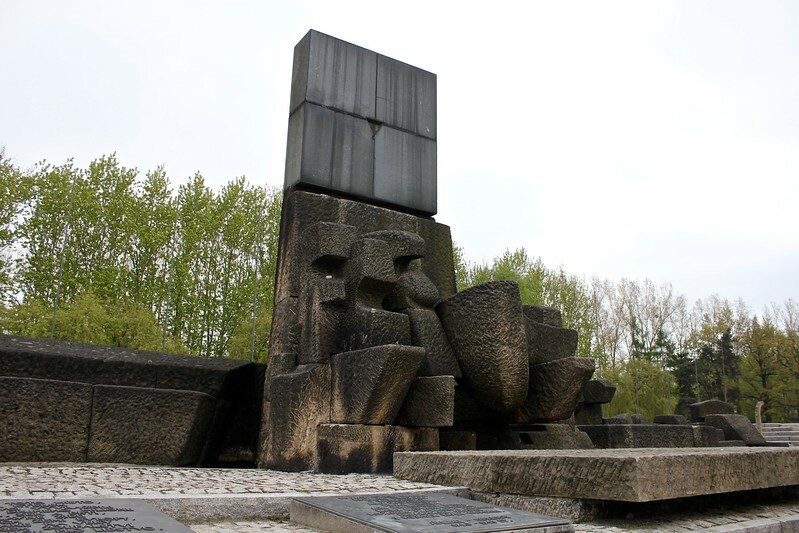 The International Monument is in remembrance of the approximately 1.1 million children, women and men who were murdered by the Nazis at Auschwitz-Birkenau. Auschwitz-Birkenau is in Oświęcim, a one-hour drive from Krakow. Our visit there lasted about three hours – roughly 90 minutes at each camp. We had to stay with our guide the entire time, so there was no opportunity to explore on our own. 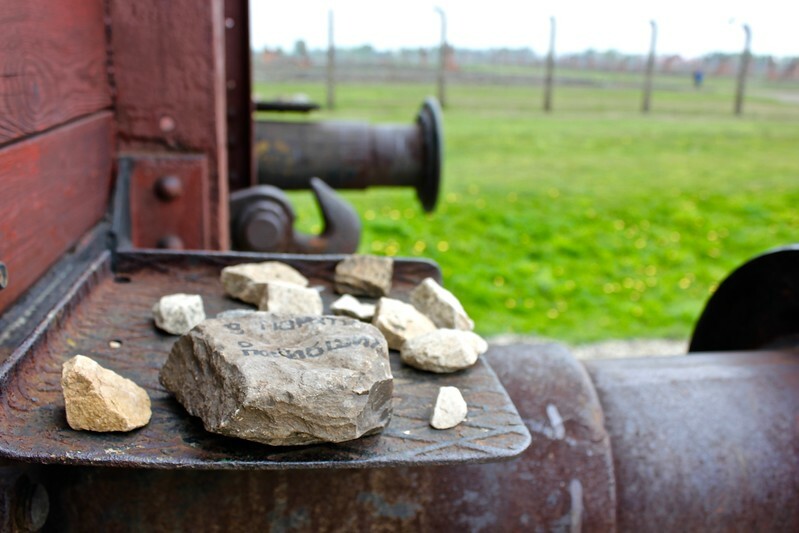 Individuals and groups must make a reservation at the Visit Auschwitz website. Very moving post. I have read many books that recount life at these camps; seeing the photos brought to life the darkness of these places. Never again! I appreciate your comment, Dhara. I, too, had read many books and still wasn’t prepared for what I saw. It’s so important to learn about these tragedies and keep the victims’ stories alive.